Mujhe bekhudi yeh tu ne …. Rarely have background songs been used as judiciously as seen in the case of Shehr-e Zaat. A careful piecing together of selections from kalaams of various Sufi poets to highlight the different phases of Falak’s journey – from the realm of the material to that of the spiritual, from temporal to eternal, from faani to baqi, from wujood to zaat – as she goes from being a reflection in the mirror to ultimately becoming the mirror itself, one that reflects the ultimate Beloved – God. Given that God is not a physical object that can be found by searching in the nooks and crannies of her house, Falak is running around helter-skelter in her search for Him – going to the faqir’s abandoned hut, asking naani, talking to Rushna, talking to her mother, and later to Hamza. Ostensibly interacting with others, Falak’s conversations are all introspective in nature. The questions she puts to others, the explanations she offers, all are dialogues with her inner self. Whether she realizes it or not Falak is well on her way to find her heart’s desire, after all isn’t her yaar jaa ba jaa, although kahin zaahir kahin chhupa? Your mirror needs just a little bit more of a rub, Falak! Now that Falak is well on her way to “finding” God, it is interesting to see people around her, her friends and family, becoming distinctly uncomfortable with her refrain of what Allah wants what Allah does and what Allah can do, hence their suggestion that she seek professional help. I look forward to seeing how Falak grows in this process and what kind of a Falak we get to meet at the other end of this inwards journey. Her very poignant conversation with Hamza hints at butterfly that is going to soon emerge from its chrysalis- a butterfly that is not only outwardly gorgeous but glowing inside as well. The mud scene, which we had been waiting for since the promos, happened, and it was everything and beyond. Falak’s painful desperation, her frenzied rush to expunge all that she sees as having previously done wrong – her unfocused glazed eyes, her initial zombie-like state, and later snapping out of it to lose all semblance of sanity as she desperately dug in the dirty water, trying to find that elusive something – all spoke volumes. While it was Falak who held everybody’s attention, I found it difficult to look away from Mehrunnisa. Hina Bayat had almost no lines, but her body language and expressions said it all. Here is a woman who has everything n more, but all the wealth in the world cannot ease an iota of the pain her daughter is going through. She is a woman so well-versed in the ways of the world, but here she’s completely at loss as to how to deal with this change in her daughter. Its not just Falak who has seen her true reflection – Mehrunnisa too is now standing in front of the unforgiving mirror, compelled to reflect on how and where it all went wrong. Hina Bayat is superb as the increasingly agitated Mehrunnisa. Mahira Khan. 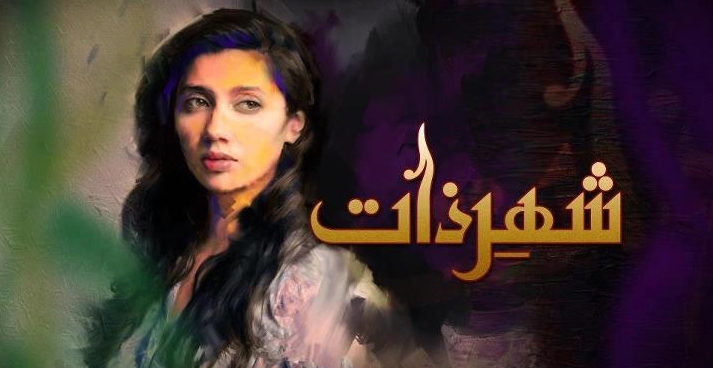 Ever since the very first episode of Shehr-e Zaat aired, the big debate among viewers seems to have been whether Mahira was the correct choice for Falak or not. I think the last couple of episodes should have put an end to that; for those still on the fence I think this episode should definitely do it. After seeing her today as Falak, I watched a clip of Humsafar, and it was like watching two completely different women. Excellently done!! Today’s episode marked the return of Hamza, what an impact Mohib Mirza has made in a relatively small role. Mansha Pasha also made her presence felt as the very concerned Rushna. Nadia Afgan was fabulous as the sautan, the chhaliya phankti and later spitting it out “very delicately” in a tissue, Tabinda. With her very casual mention of an ex-husband, a murder charge, doing jail time and the “kind” jailor – she had me in splits! What a stark difference between her and the genteel Falak. I’m so glad that the difference between the two women was underscored this way, rather than fixating on Tabinda’s “ugliness.” Mikaal Zulfiqar and Seemi Pasha were great in their scene by the pool. As for naani, one sincere guzarish: Naani if you’re looking for another nawasi to adopt, can I be the first in line, please?!! LOVE Samina Peerzada, my words will not do her justice, so will not even try! Yes, another one out of the park from Sarmad & Co. Don’t know how you guys are doing it, but keep at it – love watching every frame of Shehr-e Zaat. Can’t believe only three more weeks to go! SZ , I LURVE Tabinda. she was indeed hilariouse.I loved Nadia Afghan’s total deadpan vulgarity in front of Salman Anser’s highly superior ,upper class Father. Of-course another beautiful review from you.the helter-skelter reference reminded me of Beatles(love them). So many interesting analogies you have put forward from moth to phoenix.from mirrors to reflections deep stuff. Again a wonderful episode with a complete trans like experience.Falak has really grown like a calm collected person,i was expecting her at least to be a little shaken up or bitter in front of Salman’s mother but she has shown immense character growth.Hamza really annoyed me today i as glad Falak put him in his spot.Why to take advantage of a depressed vulnerable and for crying out loud MARRIED woman (side note) Annie plz add him to your slap slap list. I am so tried of the phrase muhabbat main sab jayaz hai moments like this make me realize certainly not. The mud scene was a chilling one it was the complete break down of one’s self and the defeat on the outward wajood so finally Falak is on the road of redemption.Her mother and Rushna worries to take her to a psychiatrists is so true because talk of parties all you want but talking of finding Allah seems like an alien concept.Junaid Jumshid’s illahi teri chokat pay bekharii ban kay aya hoon was so very right for back ground score only it was a little too loud. Nadia Afghan acted beautifully and really gave an evil vibe and make us realize the stark contrast between her and Falak .Falak dialogues how human beings are disappointing but Allah not so strong script of Umera . Mahira has been facing so much baseless criticism from the start of the play on so many sites,on the live shows she come across as some one very sweet and she has acted phenomenally in the play.People say she wears this color ,her hair is like that,her expression is like this,her nose,too slim,duh.My only conclusion is probably she is too pretty and a threat to our ordinary selves. That is why we fail to relate to her.Again reading other people comments make a certain image and we start upholding their opinions the mentality of the majority these are the best explanations i could come up with. .Falak dialogues how human beings are disappointing but Allah not so, really strong script of Umera . Again on the question of fee will as Falak says Salman say Allah nay karwaya kisi ki koi ghaliti nahi ,The school of thoght that devolped in Islam was Asharites and Mutazlites on the Ayet Khuda kay hukam kay nhagai paata bhi nahi hil skta they had a dispute if man has no free will and all the descions are pre ordained. The Mutazilite-Asharite debate took place between the student and teacher of Mutazilism. The teacher was Abu Ali al-Jubbaii who was the leader of the Mutazilite school of Basra. His student was Abu Hasan al-Ashari. Al-Ashari was not convinced by his teacher regarding the Mutazilite concept of free will and the Mutazilite concept of God’s doing the better and the best things for human beings. According to the Mutazilite concept of free will, man is free to decide and strive for his future and final destination. If man does the good deeds in his life and dies, he is surely going to attain the good life in the hereafter i.e. he will be in the Paradise. It is obligatory upon God to reward the good man with the good or better life in the Paradise. If man does the evil deeds in his life and dies, he is surely going to be punished in the Hell. It is obligatory upon God to punish the evil man with severe and painful punishment in the Hell. In other words, man is free to choose and act on his choice of good or evil deeds and he will be rewarded or punished accordingly depending on his good or evil choices and deeds. God does not make man a believer or a disbeliever. Man himself decides to be a believer or a disbeliever of God’s existence and oneness and then to follow God’s commands to do the good deeds and to avoid the evil deeds. To dispute and refute the two Mutazilite concepts above, al-Ashari posed to his teacher the cases of three brothers whose fates or final destinations were totally different. The first brother lived and died as a believer. The second brother lived and died as a non-believer or an infidel. The third brother died when he was still small or minor. The first brother was going to the Paradise because he chose to become the faithful or the believer and he did the good deeds. So the case of first brother was in line with the Mutazilite concept of free will and the Mutazilite concept of God’s doing the better and the best things for human beings. God surely rewards the believer with the good and better life in the Paradise. In this case, the first brother is in the Paradise because of his good faith and good deeds. The second brother is going to be in the Hell because he chose to disbelieve and did the evil deeds. He is in Hell because of his choice and free will. He chose and did the evil faith and deeds and the unavoidable consequence of his choice is the Hell in the hereafter. For the second brother, al-Asharite asked his teacher, what was the better or best thing that God did to him? God permitted the second brother to live and die as an infidel and then to be in the Hell. His teacher replied that God punishes the second brother because he chooses the evil faith and deeds in his life in this world. God is just and His justice makes Him punish the wrong doer and reward the good doer. The third brother is neither in the Paradise nor in the Hell because he did not have enough time to become a believer like his first brother or to become an infidel like his second brother. Again, al-Ashari asked his teacher, what was the better and best thing that God did to the third brother? His teacher replied that God knows the best for him to die when he was still small or minor because if the third brother were to grow up, he would become an infidel or a non-believer like his second brother. Hence, it is better for the third brother to die when he was still small or minor. Al-Ashari said that why did God prolong the life of the second brother even though God knows that he grew up and old and died as an infidel? Being an infidel is not good for the second brother. If the Mutazilite concept of God’s doing the better and the best things for human beings was true, as the Mutaziltes claimed, there would be no single infidel living in this world since an infidel is not good to live in this world. In the hereafter, an infidel is going to be in the Hell. God must make all human beings believers because the final rewards for the believers are surely the Paradise in the hereafter, if the Mutazilite concept of God’s doing the better and the best things for human beings is an acceptable and reliable concept. In reality, infidels or non-believers are more than believers living in this world. Hence, the Mutazilite concept of God’s doing the better and the best things for human beings does not agree with human history in this world. Although al-Ashari had been the student of al-Jubaii for almost forty years according the very popular story or narrated traditon about their student-teacher relationship, finally al-Ashari debated and disputed the two Mutazilite concepts namely human free will and God’s doing the better and the best for human beings. Al-Ashari was doubtful about the two Mutazilte concepts and he soon left his teacher al-Jubaii. Al-Ashari later on known as the founder of the Muslim theological school named Asharism that opposed many Mutazilte concepts and principles of faith or belief. So it’s a wide debate but yes big decisions like life death children are final but on smaller ones you have the capacity to change.Sorry for too long of a post but it’s very central to the idea. Well I admit I was completely mistaken in trying to find a redeeming factor within Salman! He has turned out to be the stereotype male of that culture and class! Falak’s spiritual journey and her disillusionment with her materialistic previous self is poignantly portrayed….and Mahira has done a superb job! I also like the feministic angle put in by Umera in this episode and the previous one….the man being the darwaza and the woman being the bail! I am glad Falak manages to rebuff Hamza even in her vulnerable state of mind! However I do have a soft corner for Hamza and Rushna as sincere friends!Both have acted very well! My criticism is the play upon the emotions of guilt, unworthiness,deserving punishment from Allah when in fact it is Salman who has erred in his ways! Why is the path leading to Allah always paved with such guilt and selfcondemnation…..when in fact Allah is ALL FORGIVING AND MERCIFUL!!! And as always with no surprises, you this time also hit the ace with your remarkable analysis:) GOD bless! Now that’s why i love Nadia Afghan, few minutes of her screen presence was so lively, enjoyed so much her dialogue delivery and her awesome expressions, she is simply superb! Background music of ‘wohi khuda he’ and ‘illahi teri chokhat per’ were giving amazing effect time to time. Specially in that Mud scene and the scene in which falak talks about Salman and Almighty, i literally couldn’t control my tears.. Umera Ahmed, no doubt that’s why people love you so much! Great episode and beautiful review SZ, a very mellow and reflective episode. Just want to mention as great as Falak looked in those beautiful dresses earlier, she looks even more beautiful in this simple style. Minimal make up and cotton suits suit her just as well. Her dialogue delivery has become much more polished, really loving her. I understand she is looking at all her own failings and shortcomings in how she approached her relations, but to put no blame on Salman, is not correct in my opinion. Allah gives you a choice for what you do, Salman is havin affair , a grave sin and he will have to answer for his own actions, it is not all Falaks fault. Rishna was correct for trying to tell Falak this, although I don’t agree with them thinking Falak has lost it. Loved the mud scene, SZ didn’t hear your views on that? I loved how she was moving all the stones around as cars, clothes etc. They were so easily interchangeable and could be displaced with so much ease. In the grand scheme of Thu.ha that’s what those material things ate, can disappear or be losr in a MI.the. It’s Like a hadith goes, this life is a drop in the ocean , that scene aptly explained it for me. We get so attached to dunya stuff, myself included and often forget about how centuries of people who lived before us, does it matter what they wore, or what they drove. Anyways, loved Hamza and Falak scene, so brilliantly done, expressions were awesome! There’s not much that I can add to all the great moments you’ve all talked about. Just that I like the fact that Falak’s in-laws are shown to be such nice people. I particularly like Seemi Pasha (Is she related to Mansha Pasha?) and the way she plays her character. So refreshing to see a good ‘saas’. love it. Your spiritual explanation is totally out of this World! SeZ is a Classic! this is not at all a flaw that I am pointing out but just being a viewer Usko rotey dekh kar Khafa hogaye. Any way, this drama is Beautiful. I fell in love with the cinematography today. @Javeria: Thanks for the detailed comment, drawing our attention to the debate about man’s will and God’s doing – whether one agrees with one position or the other, I love the fact that a tv serial can cause us to reflect on so many bigger questions. Would love to know where others stand on this issue? Re: the guilt and why – you know that was the precise question I asked when I read this short story and even when I see other similar stories, which just detail God’s jalali aspects rather than the jamali aspects … what I think what we are beginning to see here, is slightly different. Yes, there is guilt, but I see it as a process – Falak begins with blaming others, her mom in the last ep, now she’s blaming herself, but them as naani tells her, God is all forgiving, as long as man recognizes the mistake and asks for forgiveness, he will be forgiven. So a more tempered message than we usually see. It will be interesting to see what happens with Falak in the next episode – how far as she progressed in this journey to self-actualization. @Rehmat: Thanks! Yes, Nadia is so fabulous! As @Sadaf noted her uncouth behavior with Mr. Ansar brought out her unsuitability even more so to the forefront. @Afia: no, thank you all for joining me in this get-together of like-minded friends. You’re right I always feel like Im gup-shuping and sharing a good laugh with a bunch of dear friends. I guess a virtual version of a hangout session with friends – now if only we could find some way to bring samosas and chai – the joy would be complete 🙂 And, the fun is not ending, so dont be sad, we’ll continue our convos with ZGH – I’m so looking forward to that one. @SK: mud scene added! haha @ Mahira’s clothes 🙂 As I was watching the precap for the next ep, I was so thinking of you and how you and I would have to duke it out about who gets what once Falak starts emptying her closet 😉 But seriously, yes, Falak’s look has been beautiful conceived and executed. Loved your explanation of the mud scene – so true!! Completely agree with your reading! @Heela: Awwww – thank you!! I’m so glad you enjoy reading my reviews. Yes, Falak was awesome in this episode and Mahira was so brilliant in making us feel Falak’s pain -hopefully her crying phase will end soon and we will see a quieter stronger Falak emerge. Fingers crossed! I liked your thoughts on mud scene..what i found interesting in your review is mentioning of Mehrunissa.. who is worth to mention as i was totally lost in Falak and her desperate acts. you are so right about Hina, she wears her character so comfortably. So much of what I felt after watching this episode has been expressed so eloquently by you! Adding anything seems superfluous .I agree that even though the focus was Falak’s journey to discovery of zaat , it her mother’s expressions which caught my attention.Her perplexity at her daughter’s frenzied attempts to find solace show her exasperation as well.She is in my opinion is as much of a lost soul and even now does not realize the sea change her daughter is going through.She too is responsible for the lack of faith Falak expressed so blithely before and she herself is guilty of inspite of being brought up differently and hopefully will realize how she has erred.Nevertheless the pain she portayed of a mother helpless in taking away the suffering of her child was amazing. Not really sure what Tabinda’s character was in the novel ,she is more like the crude , uncouth jester holding a mirror upto the characters and the audience. The way she makes a travesty of the beautiful dialogue”dil Kia ajeeb shai hai…….” Makes the contrast between the two women even more jarring. I don’t think Mahira’s portrayal and acting needs any defense. Her brilliance in the last few episodes speaks for itself. For me what is striking is the honesty and sincerity with which she has empathized with the character of Falak to the extent that we cannot remember who Khirad was or indeed who Mahira’s is! Fariha,hey! great to read your own very eloquently expressed comment as well! Agree completely with your assessment of Mehrunnisa’s character – indeed she too is now forced to face the consequences of having erred (by the way, Hina Bayat commented on last week’s review, if you haven’t done so already do read and see how she evaluates Mehrunnisa). In the short story, the way I read it, the focus was more on Tabinda’s ugly features, the language used to describe her physical imperfections was very jarring. and the difference between the two women’s physical appearance was more emphasized, it was later that she was also said to be money grabbing etc Here, we see a little more of Tabinda and thankfully her ugliness is not the central point any more. Yes! the way those lovely lines were absolutely butchered by Tabinda was again beautifully done. You explained Tabinda’s role in so well – loved! What I am really enjoying here is that each and every line has so much meaning that every time you go back to it there’s something else to be discovered. I’m already looking forward to the DVD! I completely agree with fariha…..everything i wanted to say about this episode i found in this review and so much more. Dil khush ho gya!!! 😀 Just want to add that mahira really has done a brilliant job yet again. Every single scene of hers, with her mother, rushna, ofcourse naani, and last but not least hamza, was excellent!!!!! One could actually see falak changing gradually. She is all lost and questioning herself in the start and by the end of the episode she’s trying to make hamza realize that hes aboutto do the same mistake. Nafs ki ghulami!!!! Special mention to mohib’s expressions…tooooo good!!! That scene was brilliant.i havent read tha novel but i know hamza’s character is not in the novel. And i cant seem to understand keh hamza ke bagair novel ka to kya maza hoga??? Yes hina bayat was also very good. The only thing came to my mind after seeing her expressions as mehrunnisa was that “mard and darwaza” dialogue. In the start of the drama she once told naani that her husband likes her the way she has become. So she hasnt realized it yet, and i dont know if she ever would, but just like falak “js darwazay(mard) ne mehrunnisa ka bhi rsta roka hua hai. All the other supporting cast were also great. Loved rushna and falak’s sassy saas 😉 i hated tabinda….but i guess thats the point of her character. Great drama and a great review again. Thanks for welcoming me. I have been reading ur reviews for some time now but never made any comment. Last episode of SeZ was sooooo soooooo soooo good thati coulnt help giving my remarks 😀 i’ll keep coming back for ur lovely reviews. great comment! totally agree with you about mehrunissa and the whole mard darwaza scenerio. i wonder if she will also eventually realize it or not. because as of now she thinks Falak is loosing it. Good catch mavra on mehrunissa doing all what her husband says and for her its also same mard being darwaza 🙂 it was good to read ur thoughts! That’s why SeZ hits me like anything! Beautful job Mahira once again! I loved the lighting and the way she looked in the magenta shirt during that scene in her bedroom. Fab job Khizer Idrees – can’t believe he’s the same guy who has done the interior shots of Ashk. Now my gripe moment – I so wish they hadn’t painted Hamza as ‘just another guy out to get the vulnerable girl’. I think we’ve been introduced to Hamza as a good friend who gives sage advice when needed and I wish Umera would have left him doing that rather than making him out to be another “typical mard”. Ugh..
And the music was quite loud in several places. I had a hard time making out the dialogues. This episode was definitely much more introspective, and I wish for all the viewers too it gave some food for thought. As Rehmat and others have said above, we run after trying to make others happy or ourselves happy and hardly find the time to go “what would make our Creator happy?” It is a tough question to ask ourselves because the answer won’t be to our liking unfortunately and I include myself in the list too. After a long day of exhaustive work, if I sit down and ask myself ‘what did I do today that would make my Raab happy?’ I sometimes come back with nothing…sigh. I know I don’t sit down and analyze the “why” behind it because it is not something that is imperative. I hope and pray we can all do this self-analysis on a certain level and then find the opportunity to correct ourselves rather than just thinking “yeah it’s tough no doubt”. I’ll be sad to see SeZ end because it provides that dose of medicine that all of us need on a spiritual level that none of the religious shows are able to provide because they unfortunately cannot make the connection with the masses that is so sorely needed. We’ll be back to being subjected to “haaye bechari” stories that are on-air right now and will continue to be dished out every month. I don’t know when the next SeZ will come around to provide us some soul food again. Yep i agree @Rehmat & @Annie.. but if we all take something from this drama i guess the makers were successfull in getting the message across. But i really hope they don’t start with their behan bahoos dramas all over again. That would be a pain to watch after something like Shehrezaat, where each episode leaves such an affer effect on you that you are left analyzing your innerself. Agreed ladies I hope I can implement at least one thing from SeZ! Too bad we can’t say the same thing about any of our other dramas that are on air these days. lovely review and lovely comments! with everything being said already i feel like there is nothing left to say. @SZ, great analogies! Humza, Falak and Salman are indeed mirror images of each other yet Humza thinks he is better. Mahirah Khan is a fabulous actress and has done wonders with this role. A viewer can feel for her and see that change within her is evident. From glamorous to being a “normal” being, forgetting her desires. People who are concentrating on why Tabinda is such a way and how Salman is a jerk are missing the point and message of the drama. As Falak says, “woh to woh dekh raha hai jo Allah usko dikhara raha hai”. Hamesha hamay wohi dikhta hai, jo Allah dikhata hai. and truly agreed for what you also said in last passage. @ SZ yes I am so looking forward to the next episode….closet emptying time..LOL!! Also I love the precap when Mahira says ” I am not going anywhere” anyone notice the very British way she says it… well I did and it was rather splendid! @SK – lol at the British way. That’s pretty funny considering she went to school in California. You and SZ need to battle it out over who gets which outfit and who gets which week’s visitation rights with Naani 😉 Actually I won’t mind keeping Naani and her flowers for one week of the month either. I love it when she says ” no I’m not going anywhere” . Cant wait for that scene. And lol doesn’t sound British. well if Falak’s out fits all gone i will settle for Mehrunissa’s outfits too but really i am not giving up the visitation rights with Nani . It’s only Wednesday and i am already waiting,Sez and Cricket my life is working on strange combo these days . ROFL! Falak really needs to come here and settle this! Your understanding of the play’s concept is superb. Each piece you write makes complete sense and is balanced. I appreciate your efforts to make the audience understand the true essence of the story. kudos!!!! will continue reading your blog henceforth.Much love. @Nadia: Hi!! Thank you so much for taking the time and visiting the blog, reading and responding to all our comments, and your very kind words about my reviews – much appreciated!! As is obvious we’re huge fans and are loving you as Tabinda – clearly its not the length of the role but the quality of the role and what and actor bring to it that stands out in the viewers’ minds and you have done just that as Tabinda. Excellent stuff!! Looking forward to more visits and hearing more from you!! Sahi kaha! Treat toh banti hai! :P.
SZ congratulation on reaching 5000, but i think this credit goes to your old association. you are a gifted writer. but to see you doing such an act makes me question your ethics. please do not find me rude i think that you did this on purpose. you used them for your own advantage ,created a fan base since you knew that they already had a following in the media and then once you got the recognition , you stopped writing for them and started your own blog. i must say that its very cunning yet unethical of you to do this. i am sorry if you find my comments to be rude. but every time i see your blog and the same visitors from the old website i feel its all a web of manipulation.other wise you could never get these 5000 or so visits on your own. it is a bitter truth which no one can deny by just shoving it under the carpet. it is nice to see these reviews from someone like you. no doubt you are wonderful writer but you have lost my respect. First of, thank you for visiting my blog and taking the time to comment. It seems you have been following me for a while, and for that I am appreciative. Your comment above, on how this blog came about, is your reading of the situation and you are more than welcome to believe what you wish. I have absolutely no qualms in talking about my association with DP, nor have I ever hidden it or pretended otherwise, so there is no question of anybody shoving anything under the carpet. I saw Samina Peerzada here in lhr yesterday and went up to her to tell her how much we appreciated her work. I mentioned this blog and told her she probably didn’t know how much people love her (ref. Nani) and her response with a smile was “yes, you’re right, I didn’t know”. She was looking super and kept saying thank you to all my rantings. @SZ Yaar it was a funeral, but I thought baat kar leni chahiye but photo toh too much ho jata! Apparently Saba Hameed was also there but didn’t see her. @Ash told her about the blog, hope she googles it, didn’t have enough brains at that time to ask her to come ‘n comment….some other ladies asked her why she didn’t do ‘young’ roles to which she replied “young roles young log karen”. It’s Cause she makes an awesome naani! 🙂 and waise bhi these roles suit Her. Young ones don’t. But that’s really cool you met her. Hadn’t you mentioned meeting her before as well? Why didn’t I run into any Celebs when I was in Lahore. Ugh. Must go back. :D.
Hey Zeeshan , I review SEZ on DP it never bothers me to come and comment here and I take it as a great compliment if SZ ever comments on my review. Why should we not share the pleasure. Let’s lift each other up rather than engage in some cheap competition to destroy any progress we make. I personally have been inspired by SZ ‘s superb reviews and wouldn’t miss them for the world. Lets expand our hearts and keep it inclusive. Can you ask him why he chose to do Rohail??? @Sadaf I like your spirit! I appreciate everyone’s reviews here or there. @SZ Haan Pakistan mein rehne ka koi toh faida hona chihiye- but honestly I love living here but sadly, life is only easy for a small minority. @ Ash, just saw her in a car recently….Idhar moqa milta rahta hai. When the humsafar craze started EP were having concerts all the time so we went to those. My sis almost died the day she shook fawad’s hand 😉 -almost yanked him offstage. Then meri eid ho gayee when I met him at the SILK by fk launch. He was great to meet ‘n 2 months later, I am still going around with a smile on my face. @Sadaf and Afia: Ladies, appreciate the support. I guess the truth, that this blog came about very organically and was completely unplanned, is so much more boring than a long winded conspiracy theory. So yes, lets move on please! @Sadaf – when is this?? Dates please so I can buy my ticket for a trip to Texas :D.
@Javeria – totally off topic but did you get a chance to watch the season premiere of revenge yet?? P.S – I hope SZ doesn’t kill me. Hehe. @ASH google Islamic Relief Fundraiser They are doing several dinners with Fawad and M.Younas the cricketer through out the USA. Or you are welcome to contact me On FB and I can send you details. Omg I am going to check Islamic relief right now….yipeee..I love IR as it is….what a great combo! Looks like there will be one around my area. Yay. This is exciting. I guess we’ll see. I’m so happy Revenge is back, and this episode was fantastic! The Emily/Nolan friendship continues to be my favorite part of the show, and it’s great that she’s trusting him more.Jack has no chemistry with Emily. I really hope Emily and Jack wont be the endgame. Also, Aiden is a new character this season that we’ll learn more about as the show continues. That’s why you don’t remember him. He’s the only other person beside Nolan and Takeda it seems that really knows Amanda and what she’s after. So, he’s going to add a very interesting dynamic. That’s why I don’t remember him. Lol agreed! But i don’t think it’s a good idea to discuss Revenge here bc we are totally taking the thread away from SEZ and SZ might not be too happy with us. :P.
Finally i got some time to read your review. I don’t think there would be a better analysis to SeZ than this. SZ u actually wrote it from heart and it goes straight to our hearts. Will comment in detail n abi tu sb k comments b prhny hai. SZ beautiful review as usual- one thing I am so soo glad is that we have mysticism and Sufism underlying this drama! Knowing the current state of our world where we worship materialistic things, this drama comes at a very right time. One doesn’t has to go full burqafied in order to become more closer to god, the need to come closer to God comes through the heart first and then you surrender yourself mentally and physically.